Growing in the bedroom (Siberia by night, airy snowfield by day) - good for cat grass, leaning into the sun when it shines through the windows, sometime past noon. The little furry fella likes it. What kind of grass is it? Thank you! 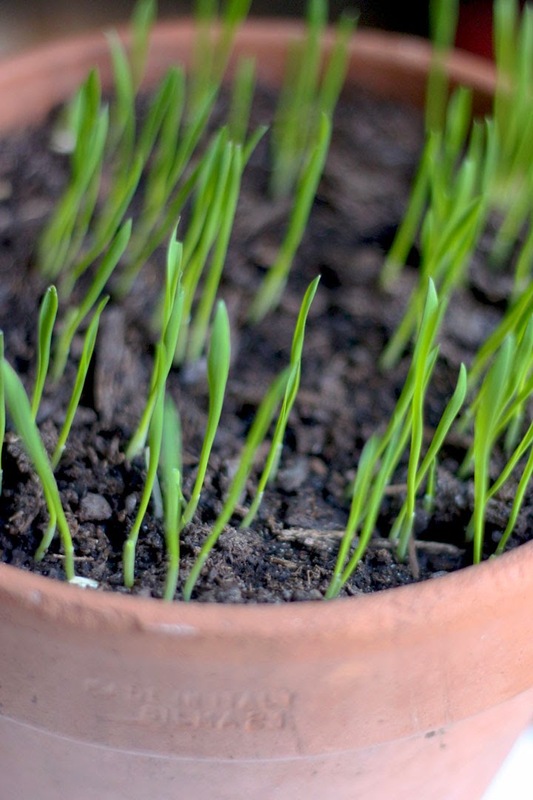 They sell pots of wheatgrass for cats at the supermarket, and my cats love it, but I'd like to grow my own. Will try the oats. I'd recommend sowing them in several small pots, at intervals of a few days. He's already chopped the tops off all of these. Helped himself in the night. As Storbie might say: Y whose grass ees eet?